Even in the 1970s, children’s television could be frenetic. Frazier Thomas and his friend, puppet Garfield Goose, were the gentle antidote. 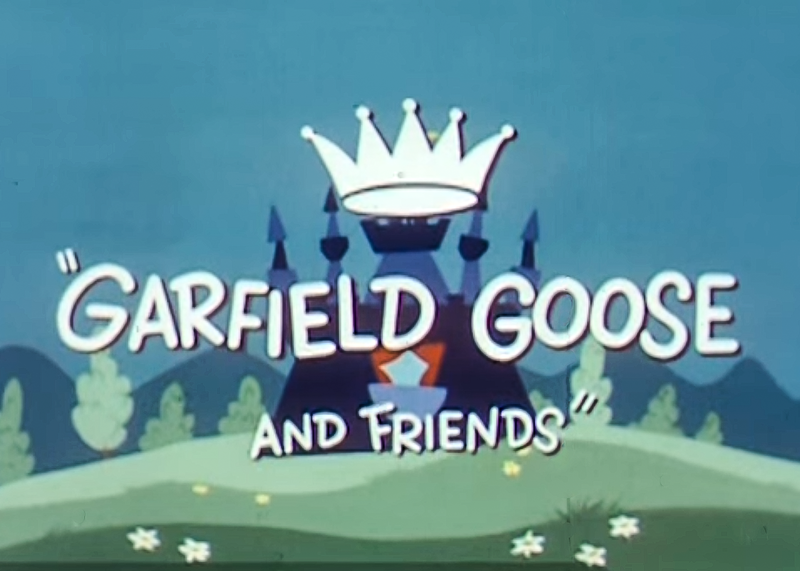 A pleasant morning breeze upon the children’s TV landscape, Garfield Goose and Friends aired each weekday at 8 AM on WGN-TV in Chicago. 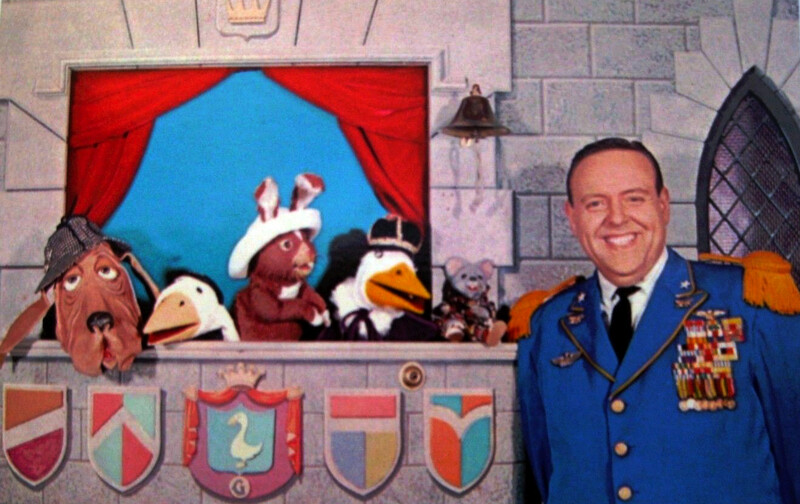 The premise was that Garfield Goose thought he was the king of the United States, and he appointed Frazier Thomas as Admiral of the King’s Navy. Friends Beauregard Burnside III, Chris Goose, Romberg Rabbit, and Macintosh Mouse often joined Frazier and Garfield in the fun. Once in a while, even Garfield’s mom appeared! Garfield was non-verbal; his only noise was his flapping bill, yet Frazier somehow always understood him. Here’s how the show began one morning in 1971. The show was in color, but someone recorded this on an early black-and-white home video recorder. The theme song is “Monkey on a String” by organist Ethel Smith. As it ends, you see pure Frazier Thomas, interacting both with the puppets and his young viewers. As a small boy, I was drawn in by this adult — a man my grandfather’s age — who talked to me like a friend. That happened nowhere else on children’s TV. It was typical for Frazier to read letters that young viewers wrote, and to share crafts the youngsters sent in. Once in a while, Frazier would invite a young viewer to appear on the program to show off their hobby. You can see one such clip, in color, at this link. It shows Frazier’s genuine interest in his viewers’ hobbies. Between bits, Frazier and Garfield showed cartoons. I have a dim memory of seeing Augie Doggie cartoons on the show, and something called The Funny Company. But more than anything else, I remember watching Clutch Cargo, an adventure cartoon of sorts. Calling it a cartoon was a stretch, actually, as it was mostly a series of drawn stills. But it was just weird, because when the characters spoke, moving human mouths were superimposed on the drawings. I never liked Clutch Cargo very much. This video shows a full, color open to the show, and then a few Clutch Cargo cartoons. Chicago was just far enough away from my South Bend childhood home that we couldn’t pick it up over the air. Cable television was in its infancy. In South Bend, it was nothing more than an antenna on the tallest hill in town, connected to subscribing homes via coaxial cable, providing television stations from Chicago. It cost about $3 per month then, and Dad paid it so he could watch his beloved White Sox. And so I watched Garfield Goose late in its run, from 1972 to 1976. I wasn’t able to see it every day, as I had to be off to school just after it started. But I watched it during the summers and when I was home sick or on break. But it turns out that Garfield Goose and Friends was the longest-running children’s puppet TV show in history. It went on the air in 1952, first on WBKB (now WLS) and then on WBBM before finding a permanent home on WGN. But Frazier created Garfield even earlier, while working for a television station in Cincinnati. He started there in radio in about 1940, and moved to television during its infancy in 1948. 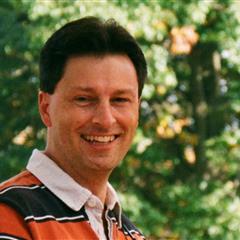 After he moved to Chicago, he hosted all manner of programs before settling into his role entertaining children and families. 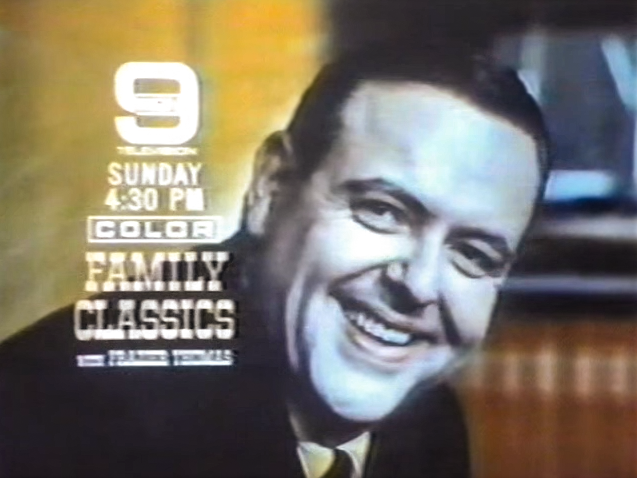 Not only did he host Garfield Goose and Friends, but he also hosted a Sunday-afternoon program called Family Classics, on which he showed family-friendly films he selected and edited for broadcast himself. By 1976, the children’s television landscape had shifted away from the 1950s style of Garfield Goose and Friends. WGN cancelled the show in September and appointed Frazier to replace retiring Ringmaster Ned on Bozo’s Circus, another WGN kid’s show. Garfield Goose came along; the premise was that Garfield had bought the circus. I never thought the fast-paced, buffoonish Bozo show suited Frazier’s calm, warm personality. But by then, my family had given up cable, and I never saw Frazier Thomas on TV again. Frazier Thomas died in 1985, aged 66. I never had access to Chicago stations on cable until maybe 1980, and missed this show completely. I did see a few of the Family Classics movies and wondered who Frazier Thomas was. And now I know. There was such an innocence to local kids programming of the style that came out of TV’s early years. By 1980, most of the WGN kids’ shows had ended. Television had changed. Family Classics was a holdover, and so was something called Gigglesnort Hotel, which I think was on WLS-TV. Growing up in South Bend, the Chicago kid TV personalities all seemed simultaneously more real than anyone on network kid TV — but also paradoxically that much more unreachable, because in what alternate universe was a working-class kid like me ever going to be in Chicago? How cool that you got to meet Frazier Thomas when you were very small. That was a great flashback. Thanks! I guess something that is now long gone are the local or regional kid shows. It seems like most people who grew up during the 50’s to 70’s have memories of such shows. I suppose it is just a lot cheaper to use some national show than to do some local creativity. The local kid shows were mostly done on shoestring budgets, so I don’t know. But the national shows that came had so much more pizzazz. I dunno. It was the passing of Thomas, 1985, 4 days after i brought my then- girlfriend her Easter gift. I was on show sometime before it ended. I wanted to know if there is way to see my episode l was on. Wouldn’t that be awesome! I’m not aware that WGN recorded the shows. Only a few episodes are known to exist.